The U.S. government is dropping its high-profile suit against gadget giant Apple over a locked terrorist’s iPhone, saying Monday it is already able to hack into it with the help of a third party. It’s an abrupt end to a standoff pitting the highest levels of law enforcement against one of the most powerful corporations in the world. The case had become a flash point for a larger battle, with law enforcement’s mandate to protect the public from terrible crimes clashing with tech companies’ need to secure customers’ digital privacy, even at the cost of protecting terrorists too. While the biggest case in this battle appears to be over, questions linger about whether the war between investigators and tech giants will continue on different fronts. Apple didn’t immediately respond to TheWrap’s message seeking comment. 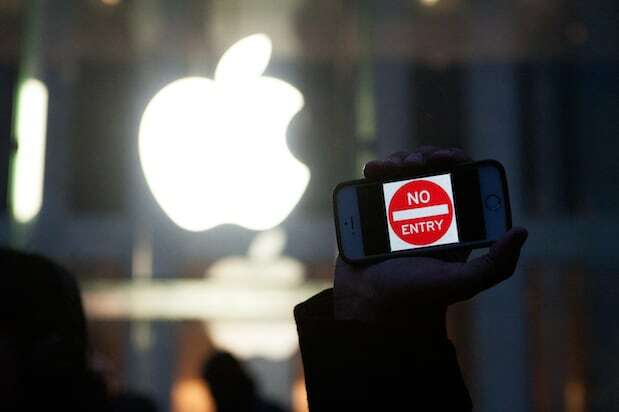 On Monday, U.S. Attorney Eileen M. Decker said in a statement that the government has asked a federal judge to vacate the order forcing Apple to help the FBI unlock a phone used by one of the shooters in December’s deadly San Bernardino, California, terrorist attack. After Apple refused to abide by that order six weeks ago, it kicked off a war of words that played out in the press, on social media, in Congressional hearings and through a stream of legal filings — but not destined to be heard in that courtroom. “With the recent assistance of a third party, we are now able to unlock that iPhone without compromising any information on the phone,” Decker said. Because it needn’t force Apple’s help to bypass security measures on the phone any longer, it is dropping the case, she said. Last week, the Justice Department canceled a key hearing in the case, saying it wanted time to explore a method that could potentially unlock the phone without Apple’s help. Apple executives said at time that they would continue to fight the case, especially given this sudden reversal contradicted sworn statements that the governmnet had submitted that Apple was the only party that could solve the locked San Bernardino phone. But they also said that if the the U.S. decided to drop the case, the company may not have that opportunity.